Based on the real life experiences of director Ann Hui, comes a brilliant drama about a daughter’s hidden feelings of resentment and alienation towards her mother. The story revolves around Hueyin (Maggie Cheung), a student who harbours feelings of contempt towards her mother, a Japanese girl married to a Chinese man at the conclusion of the Sino-Japanese War. As Hueyin returns to Hong Kong from her studies in London, she and her mother begin to fight. Largely due to cultural and societal conflicts with her mother, old memories of Hueyin’s unhappy childhood are revived. 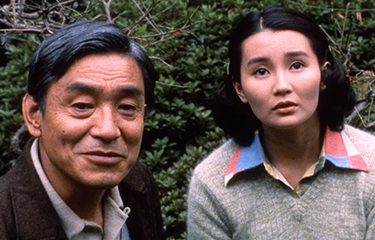 Taking a trip back to Japan with her mother, it is only then that Hueyin truly begins to understand her mother’s own feelings of loss and alienation.